When we create new web content in the Web Team, we focus on how the content and page design meet our users’ needs. As a university, we have to make a good impression online. 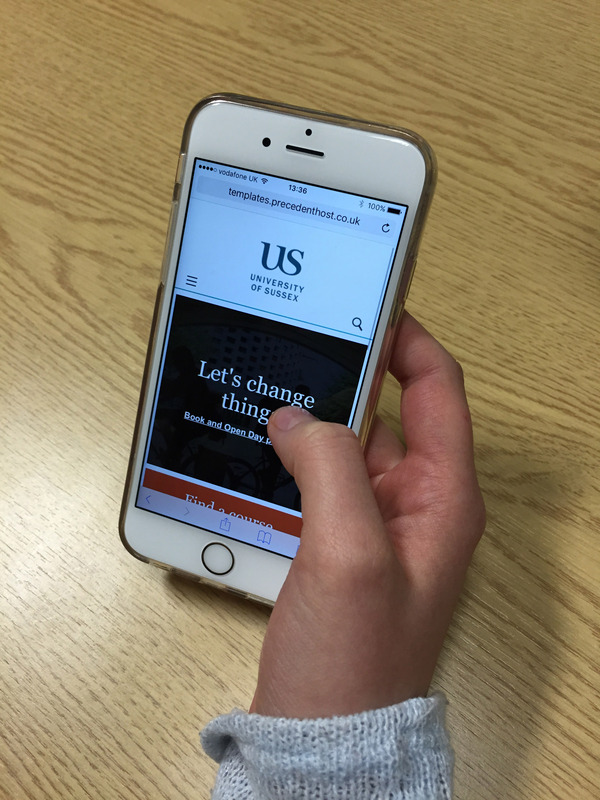 After all, 86% of applicants say they used our website to find out information about studying at Sussex (Undergraduate Acceptors Decliners Survey 2014). At every stage in our latest project of redesigning the home page and Study with us sections, we considered the needs of our main site user group, prospective students. As User Experience Manager, my role is to make sure that our website has a great user experience and usability. What is user experience? Is it the same as usability? do prospective students enjoy using our site? Usability is more about people’s behaviour. By observing people using our site, we can see how easy it is to find information or complete an important action. This includes how easy it is to find course entry requirements, book an open day or find out what the campus social scene is like. We want to make sure that all new web content is evidence-based and informed by user feedback. Since August 2015, we have been developing our site using an iterative process of testing, analysis and implementation of user-led improvements. Once we have made improvements, we test again to make sure the changes benefit our target audience. However, our work is never done and we are constantly improving. We have carried out user testing, web analytics and introduced a ‘Was this helpful?’ feedback tool on the site. 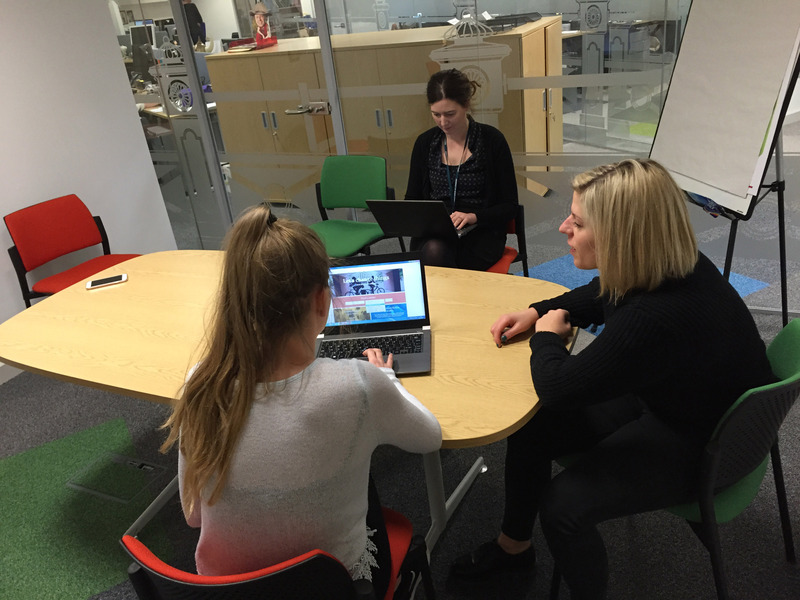 We kicked off this work with a large-scale usability audit conducted by Webcredible, a digital agency. We asked students and parents in the UK to give us face-to-face feedback on the site, as well as talking to international students using Skype and screen-sharing software. Over the past few months, we have completed further rounds of testing in local schools and on campus, making improvements at every stage. As well as the feedback we get from user testing, we also use Google Analytics to quantify the user experience of people on the site. We use statistics like time on page and bounce rate (the percentage of site visits where the user just looks at one page and then ‘bounces’ off again, rather than explore the site further) to see how well users are engaging with our content. We also measure how many people click on important calls to action like ‘Book an Open Day’. We compare these statistics month by month so that we can understand how user behaviour changes throughout the academic year. 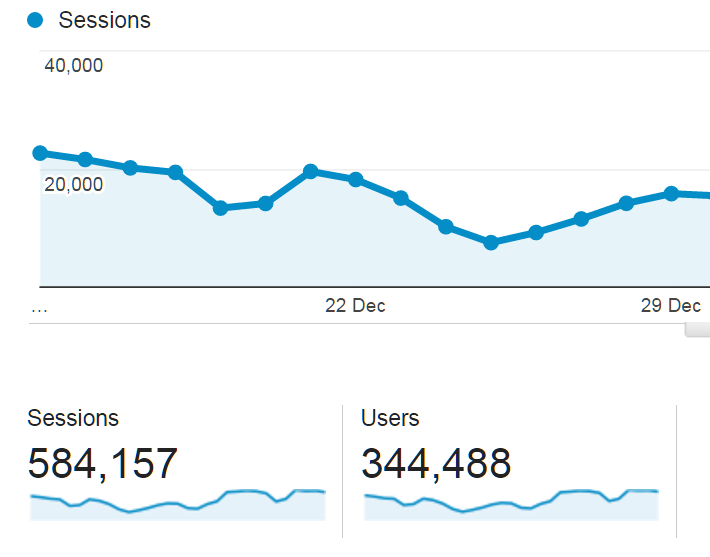 It also helps us to measure the impact of any changes we make to the site. You might have noticed a feature on the site inviting people to report any problems they have identified with the page they are on, or to tell us if we are doing something well. We have received lots of positive feedback from users as well as some ‘constructive criticism’. All site users, including Sussex staff and existing students are invited to use the ‘Was this helpful?’ feedback tool to let us know if something is not easy to use. These comments help us as a team improve various areas of the site. For example, we recently had a lot of feedback from staff members when we moved some links on some internal pages. Thanks to the feedback, we quickly amended the pages and improved the user experience of staff members using that part of the site. Any large site changes will now be subject to user testing. In the short term we intend to test our mobile site and make some navigation improvements. We know that the new look site will be received well by users because it is all based on evidence from testing. That said, the work of the Web Team is never done and the site will be constantly evolving and improving. We will be monitoring Google Analytics and site feedback after we launch the new look homepage and Undergraduate 2017 prospectus to make sure that users find our site engaging and useful. Next week, our Web Content Officers will update you on the work we are doing to improve the quality of information on the website.